One Manor Road in Brighton is an exciting and unique development, comprising a stunning collection of new homes, located on the site of a 19th-century convent. 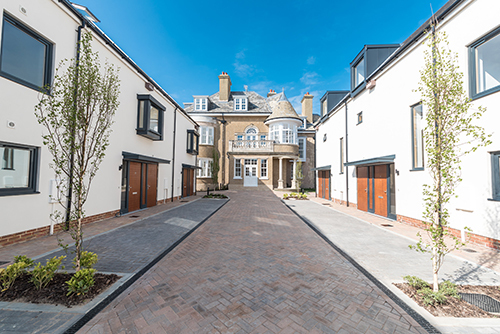 The development offers a fantastic blend of traditional and modern architecture, with contemporary and historic buildings standing side by side. Guinness Homes set out to respect the historic surroundings, while retaining and enhancing the existing buildings of local importance, to provide high-quality, sustainable and affordable housing for the area. One Manor Road is perfectly suited for first time buyers, with a choice of one and two bedroom apartments, as well as three and four bedroom houses, offering ample space for expanding families, and available with Help to Buy, affordable rent and shared ownership. The development is located on the edge of the Kemptown area, with nearby access to the famous pebbled beach, the Royal Pavilion and Brighton Marina.